Aveda Color Conserve Shampoo 1000ml. 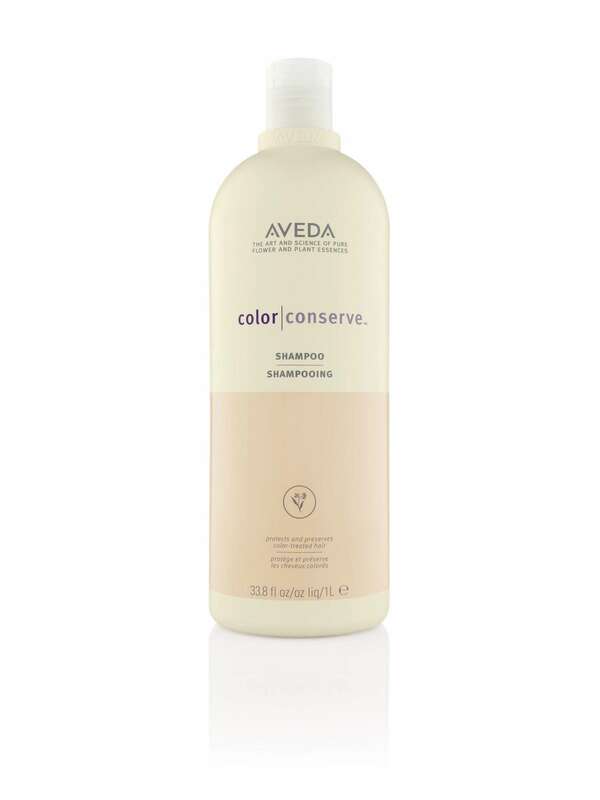 Color ConserveShampoo extends the vibrance of colour-treated hair as only nature can. Our gentle plant-infused shampoo, with 100% organic aroma, helps do what harsher cleansers can`t resist fading. Keeps hair colour vibrant longer. Protects colour-treated hair from damaging effects of sun, water and environmental stresses. Leaves hair silky, soft and shiny.